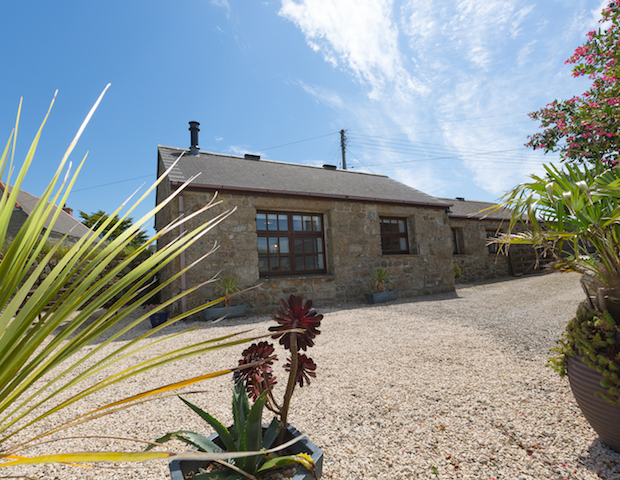 Peace and Plenty holiday Cottage offers a perfect base to explore the beauty of West Cornwall. 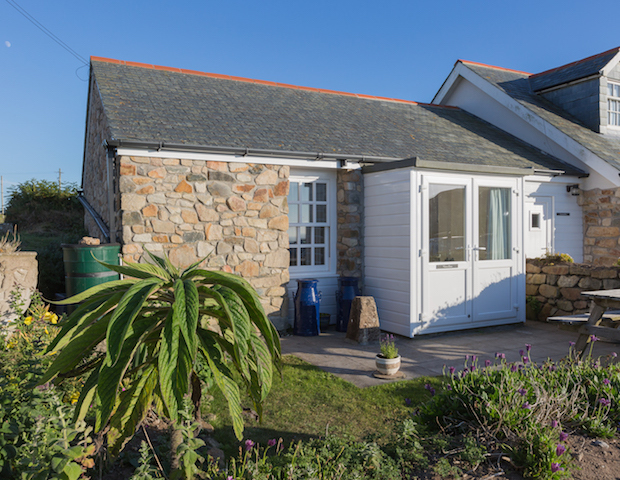 Located just above Gwynver beach, and overlooking the cliffs of Sennen Cove, the granite built cottage provides accommodation for two adults in a single storey cottage. 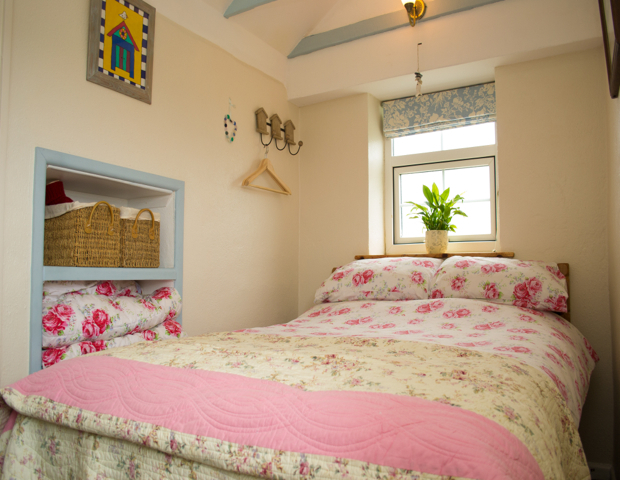 There is a double bedroom which leads onto an open plan living and kitchen area. 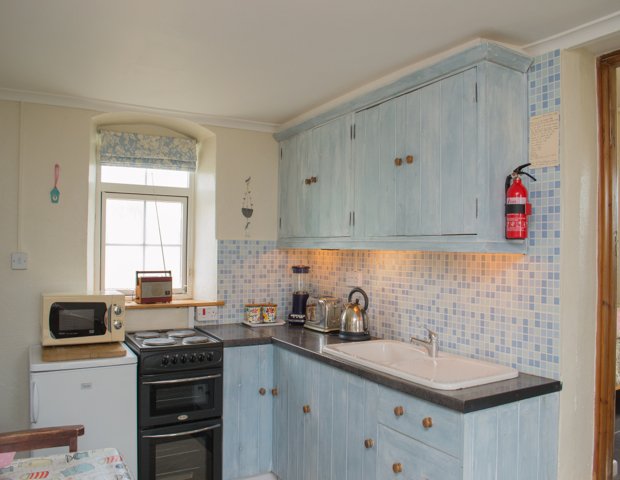 The kitchen is fully equipped and the lounge has a multi fuel burner ensuring the cottage is warm and cosy. There is a bathroom with shower. 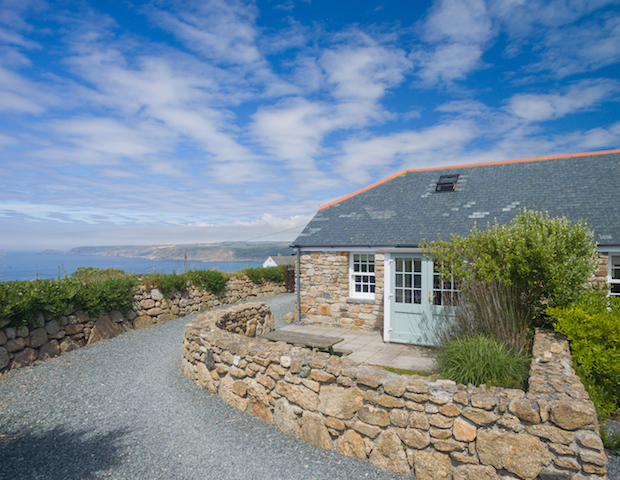 The grassy path running alongside the cottage takes you down to the beach and is about a five minute walk. 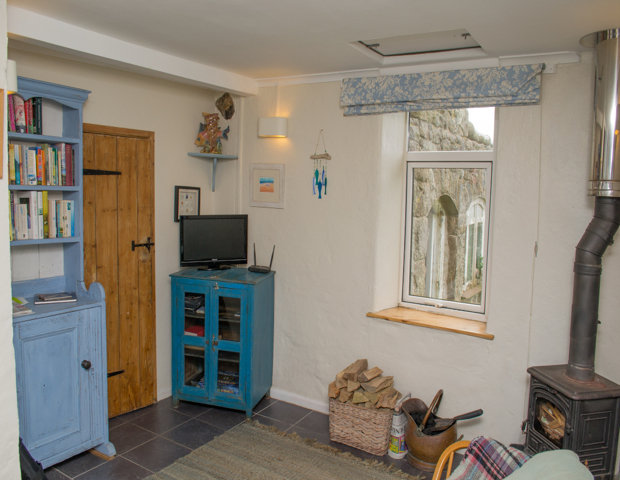 The cottage is dog friendly all year round but only 1 dog is permitted. 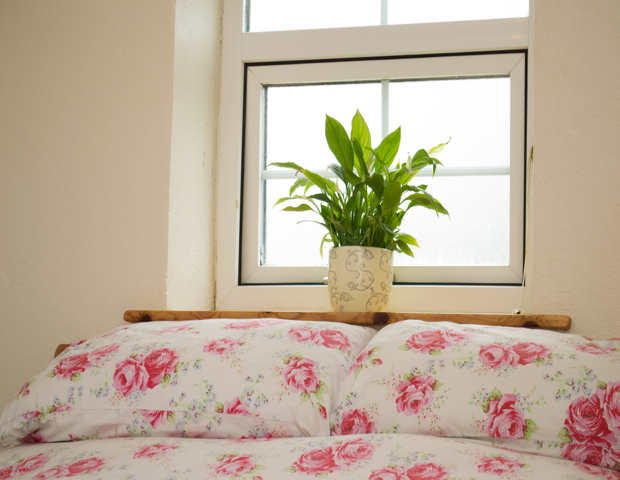 Bed linen and towels are provided and there is an electricity pound meter. 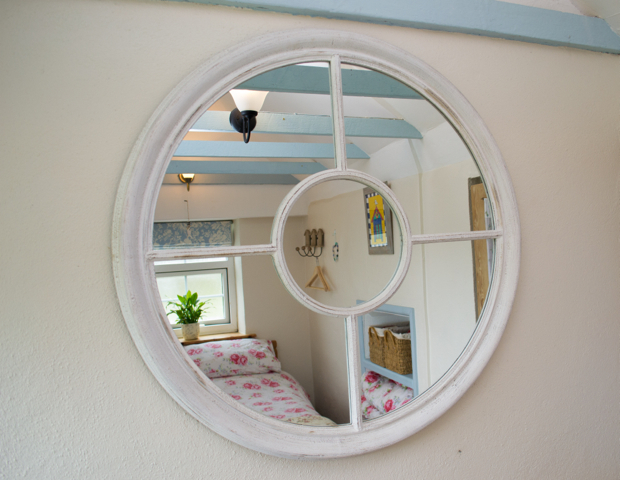 This can range from £3 to a maximum of £10 for a weeks stay. There is a £20 charge per dog. 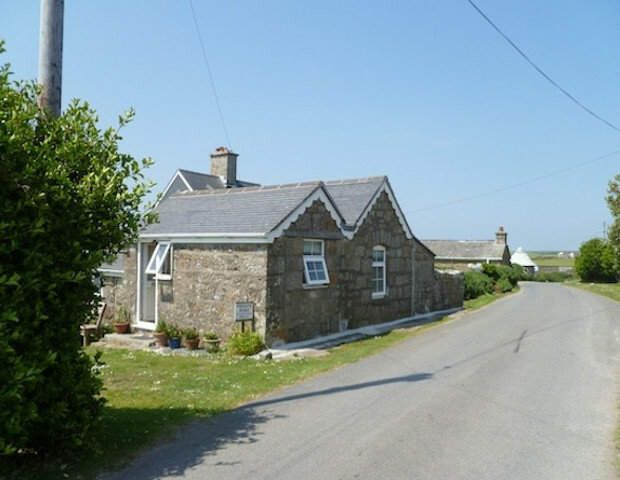 This cottage is advertised by Atlantic Cottage Holidays and we will pass details on to the owner and they will contact you directly. Please use our Contact Us or Reservation forms on the website. Thank You. 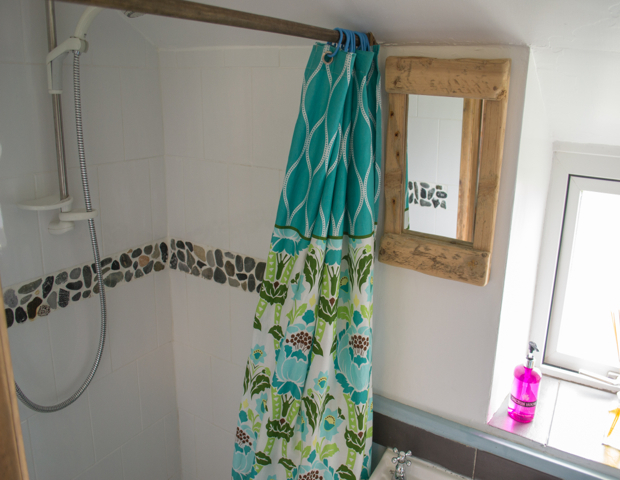 A good rest to the glow of the stove, we love the pebble details in the shower! ... We will be back! It was wonderful here in the Peace and Plenty Cottage. We had lovely walks along the coast and watching the rough seas was amazing. 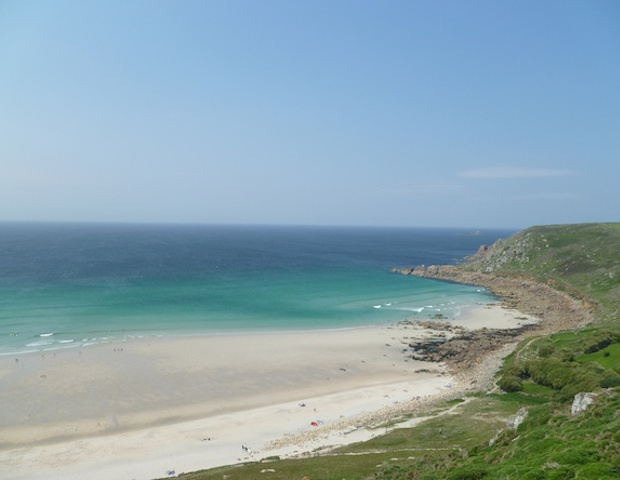 Many thanks for your kindness, we loved our stay, lots of gorgeous views and walks. 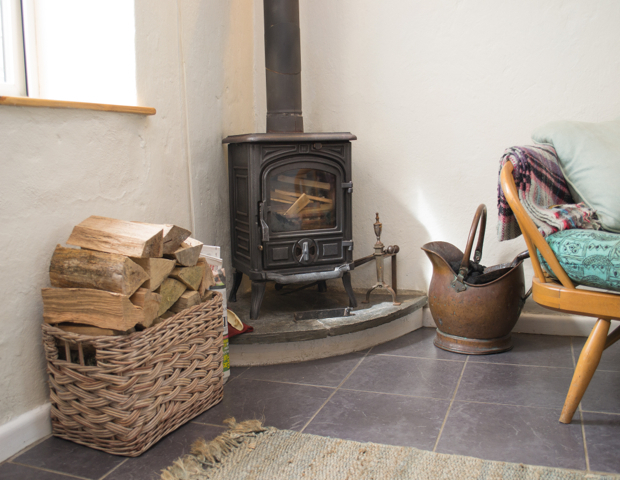 P.S Love your log burner!